Few years back I have got a very special bottle of wine. Something, I would most likely never buy myself, even if I wanted to. For a simple reason – way over my acceptable spending budget. 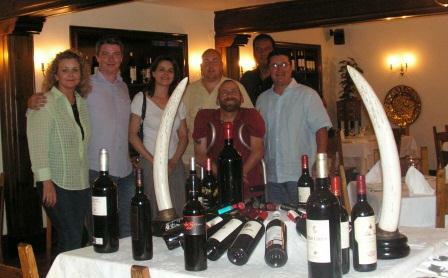 I have got this bottle as a bonus for my work, promoting my big passion – Spanish wines. Keeping it for a few years, I decided just this last week, to open something really, really special on my birthday. 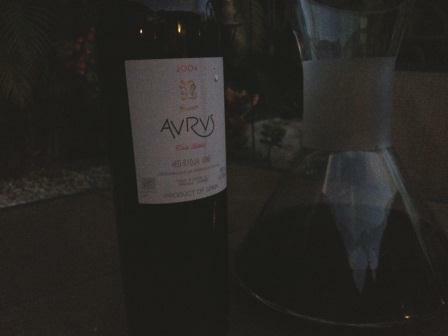 So I reached for THAT bottle: 2004 Finca Allende AURUS. What is so very special about this wine? Well, aside from superb ratings from about every wine critic there is on the map, this wine is made from very old vines – Tempranillo and Graciano grapes, with very low yields. That usually on its own is a promise of great, concentrated flavors in the wine. The winemaker also added that after very strict selection, just best bunches of grapes were harvested and went under another selection in the winery. Wine then aged in Tronais barrels for 18 months and was bottled unfiltered. 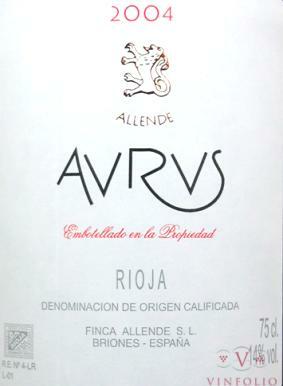 “The 2004 Aurus is 85% Tempranillo and 15% Graciano from 60-year-old vineyards with tiny yields. It was barrel fermented and aged in 100% new French oak. A saturated purple, the wine is currently more reticent than the Calvario aromatically although the same elements are present. The wine is still a baby, with lots of fat, sweet, layered, mouth-filling fruit, plenty of structure, and a pure, super-long finish. It merits as much as a decade of bottle age and should still be drinking well two decades from now. 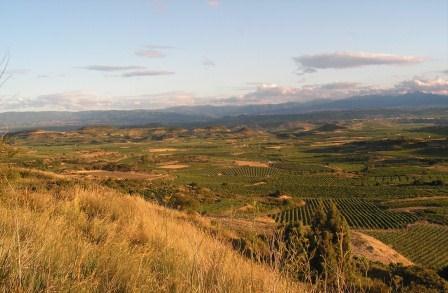 Kudos to Finca Allende for a magnificent set of 2004 Riojas!…96 points” WA 2/07. 1) I was very fortunate to visit Finca Allende and tasted the whole superb portfolio of this modern Rioja winery right there, with their charming export director Nathalie Leboeuf. (I was selling their wines in U.S.A. during my wine sales career). 2) I have got this bottle from a person whose opinion I treasured very highly, and he gave it to me for my exceptional work with Spanish wines. I don’t mean to brag about it here, but it doesn’t happen every day that one will get such an expensive bottle just for “doing their job”. The fact that he, out of all people, acknowledged my efforts, made it so much more special. 3) The wine really was a treat. Probably still too young (the critics predicted that this vintage may have potential to improve over 1-2 decades), but already quite approachable. Not at all big powerhouse, but fine, complex, lovely, silky wine that will go places in time (if I had more bottles, I would definitely love to try 2004 Aurus again in 5 years). But I don’t. Drinking this wine reminded me of those few beautiful days I spent in sunny Rioja. Funny, before I moved to Florida this spring, one of my wine loving friends, also a former customer, told me: “Florida?? Why? Nobody drinks wine there, they all drink White Zinfandel or coctails! No more beautiful winter evenings, sipping a nice, rich Cabernet in front of the fireplace…” Well, I am here to testify that none of his predictions are true. Not only did I find a lot of wine enthusiasts here (and not just those that retired). But the fact that I decanted this wine outside on my patio, in October, still in my shirts, on the beautiful warm evening, and enjoyed it under the stars of Florida’s gorgeous sky – didn’t take a bit from the overall experience and enjoyment. Just the opposite. It was my first ever birthday in warmth (I spent the day on the beach) and this charm in the bottle made it so much more special!